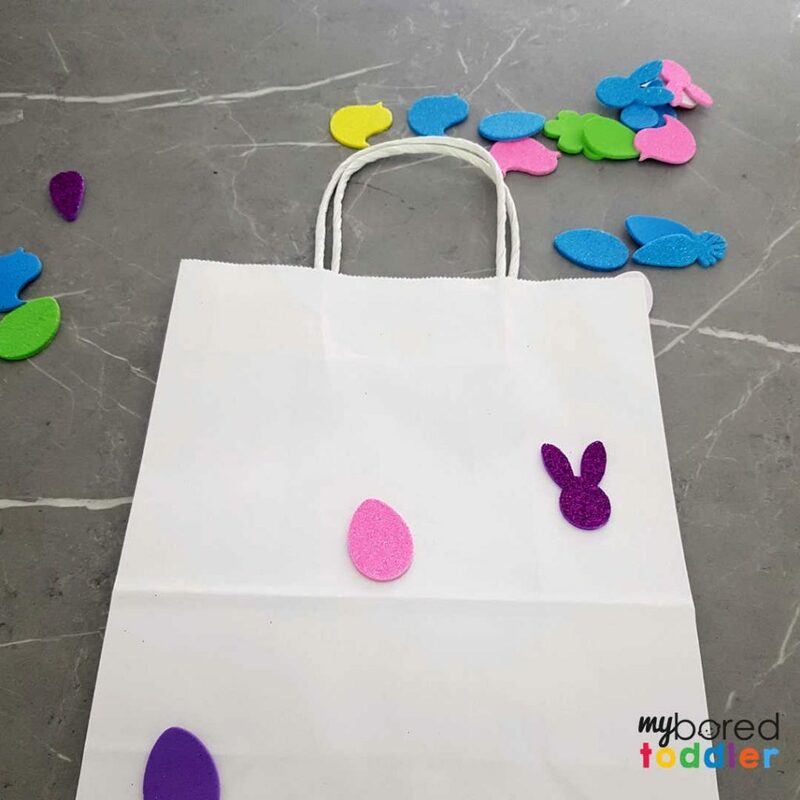 This easy sticker Easter bag for toddlers to make is super easy to set up and relatively mess free! 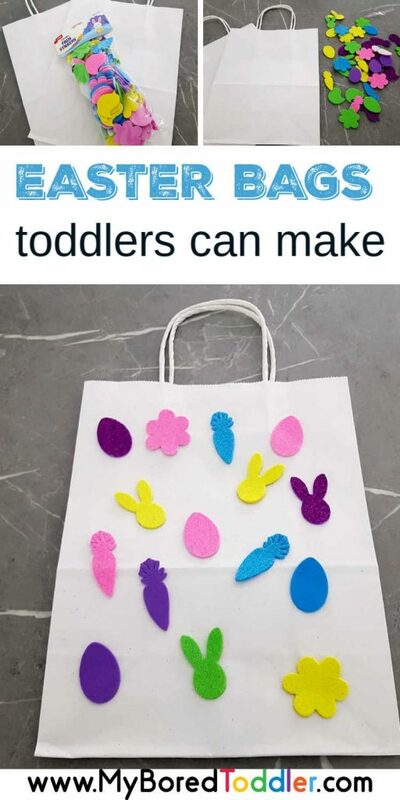 It’s a nice easy Easter idea for toddlers to do. 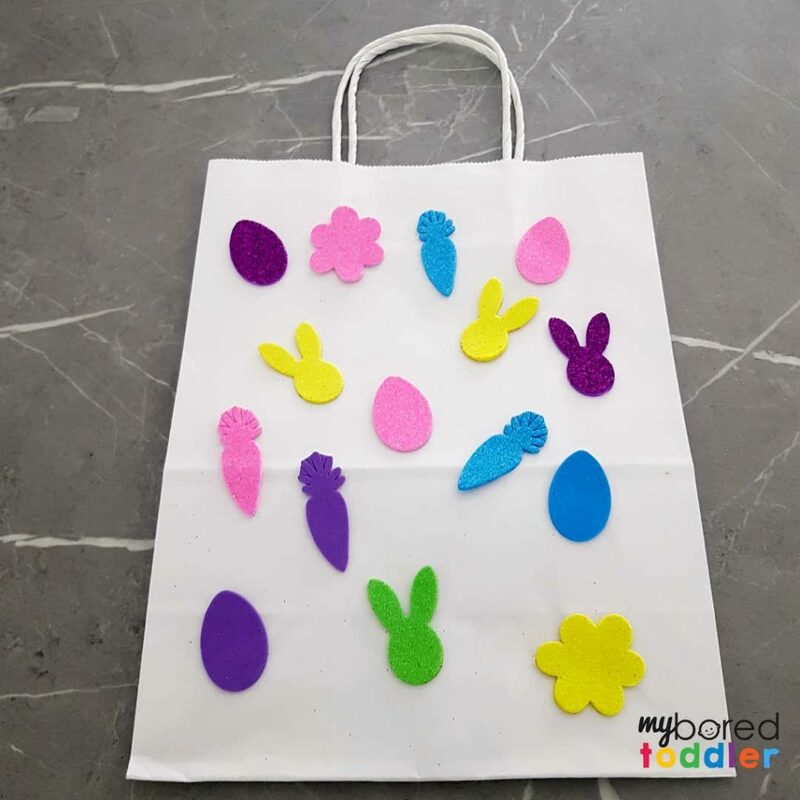 This Easter craft is our 4th challenge in our 7 day Easter Craft Challenge for Toddlers (you can still sign up HERE – it’s free!) and it’s been great seeing everyone getting involved and getting crafty! Don’t forget that if you make an Easter sticker bag I’d love to see a photo. 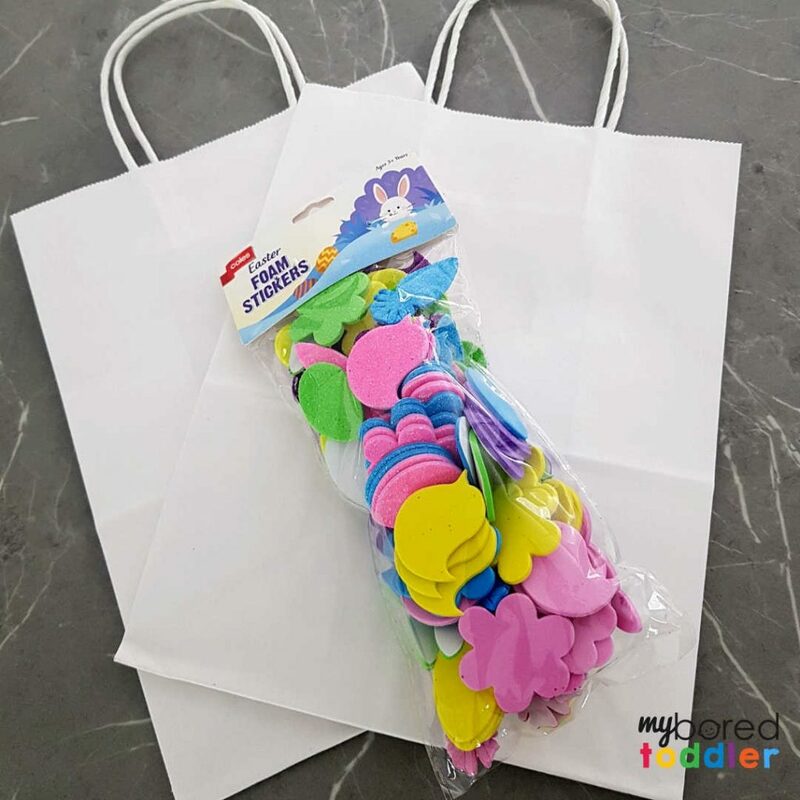 Make sure you share it in our Facebook Group and on Instagram (tag @myboredtoddler and use #myboredtoddler). 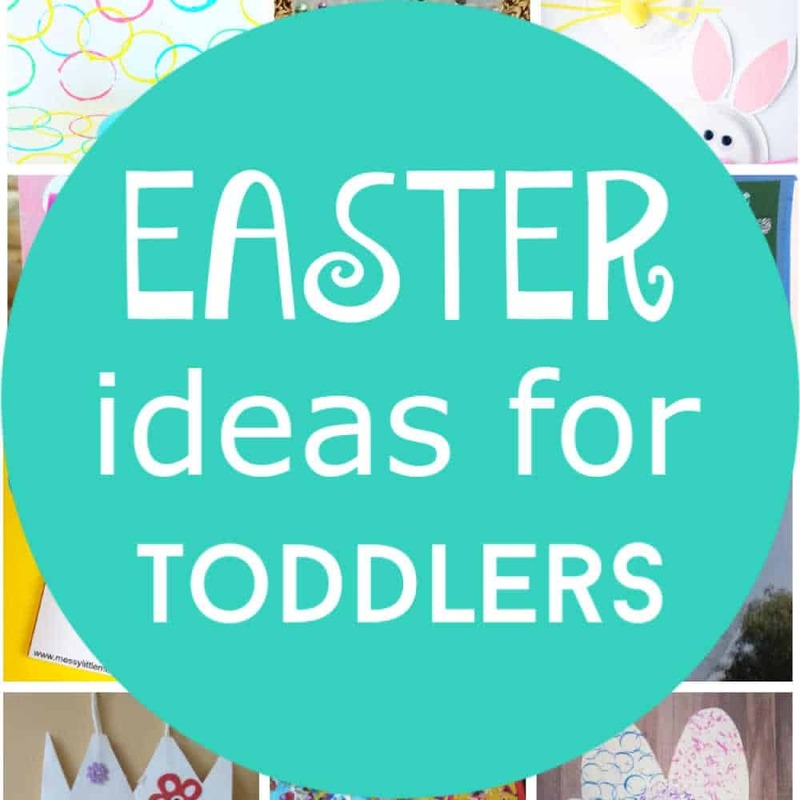 One of the reasons that I love this Easter craft idea is that you only need 2 items! Stickers. I like to use foam stickers but any Easter stickers will do. This activity probably doesn’t need instructions but I’ll give you simple ones anyway! I find it easier to place the stickers out within easy reach. With the foam stickers, younger toddlers will need you to take the backs off the stickers. Older ones should be able to do this themselves – sometimes it helps to start them off. 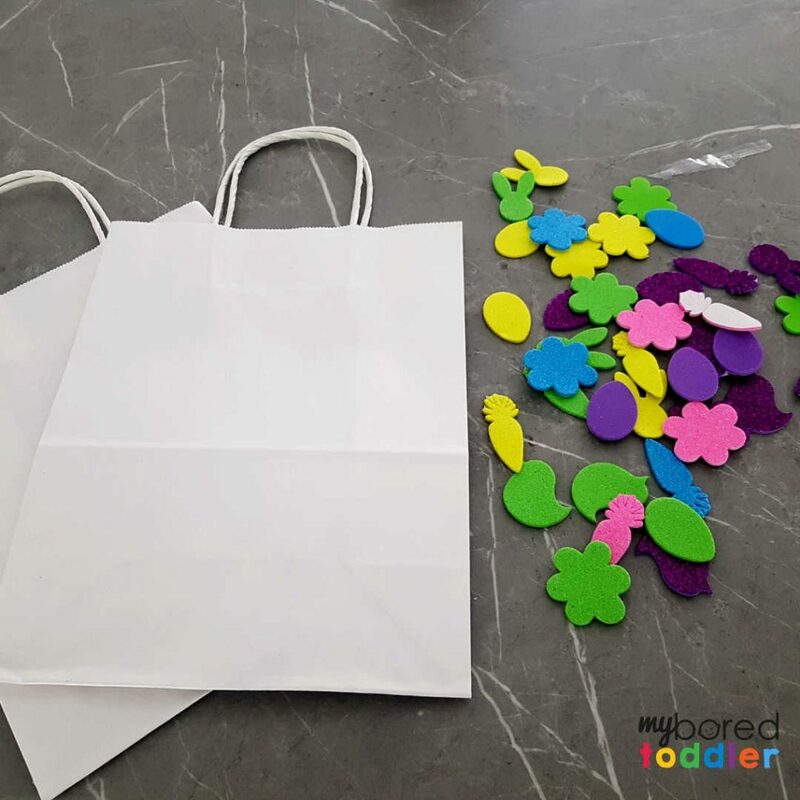 Let your toddler cover their bag with stickers. Let them do it however they like. They might want to add other items, color in their bag etc – let them go for it! 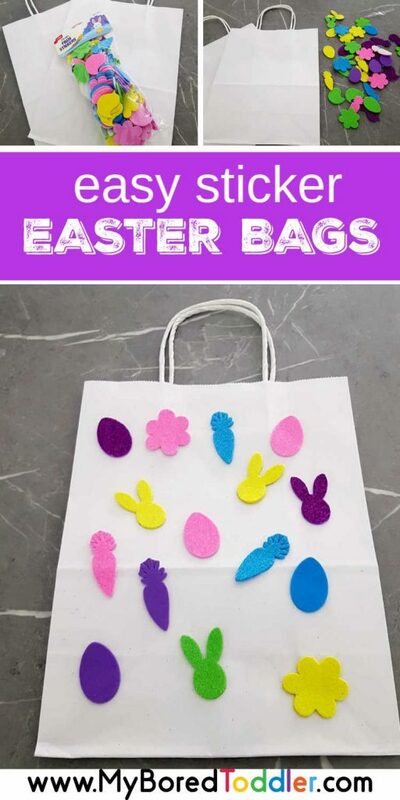 Make sure they do the back as well and you’ll have a great bag to use for Easter egg hunts (see some fun Easter egg hunt ideas HERE). 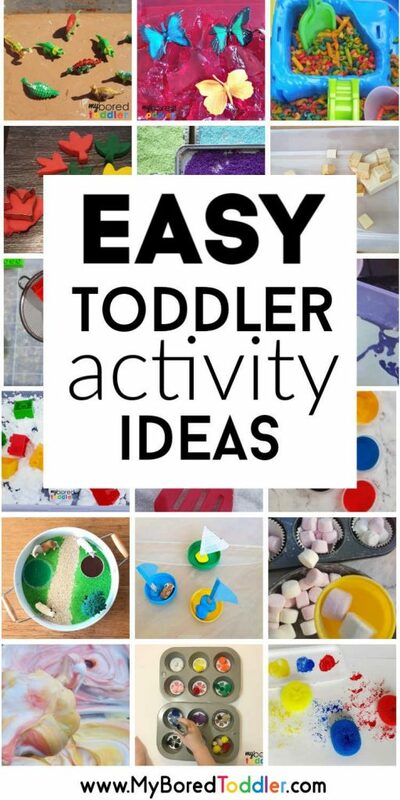 Are you looking for more toddler activities – this post should help!